From Babylon to Janus to 2017 and Introducing… | ASTRALCOM - Content Strategy, Conversion Marketing and Customer Acquisition. They say that the first New Year’s resolutions began in ancient Babylon, 4,000 years ago. Babylonians would promise to pay off debts and return any borrowed farm equipment from those they were indebted to. 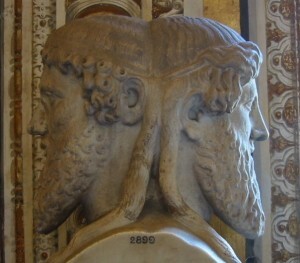 In 46 BC, the Roman Emperor, Julius Caesar, declared January 1 the start of the New Year, in honor of Janus; the Roman god of beginnings. Each culture, throughout history and today, typically include resolutions tied to the beginning of a new year. Of course, here in the US, it’s no different. People, families and even businesses take the opportunity to make resolutions or goals for the New Year. Here at ASTRALCOM, we’ve also taken the opportunity of the New Year’s start to resolve to continue to deliver superior service and results for our clients. To that end, we’re excited to announce a new addition to our executive team: Introducing Robyn Nissim, ASTRALCOM’s Manager of Client Accounts and Projects. Overseeing all client projects and relationships, Robyn’s primary function is to ensure that each task is completed on time and within budget, guaranteeing expectations are exceeded across the board. She serves as the oil which keeps the machine flowing smoothly. What’s your company’s New Year’s resolution? Reach more potential clients? Convert more visitors into leads? Service your customers better? Sell more? Whatever your company’s sales goals are for 2017, contact us and we’ll be happy to help you make it real.